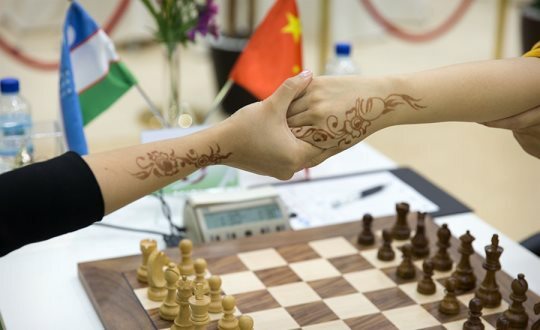 Chinese Grandmasters Ju Wenjun and Hou Yifan are the joint winners of the 6th and final stage of the FIDE Women’s Grand Prix that was held in Sharjah, UAE. 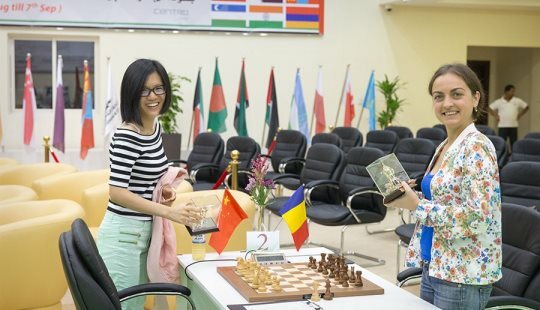 In the 11th round World Champion Hou Yifan defeated Alina L’Ami to catch her compatriot Ju Wenjun, who in turn escaped with an important draw against Tatiana Kosintseva. 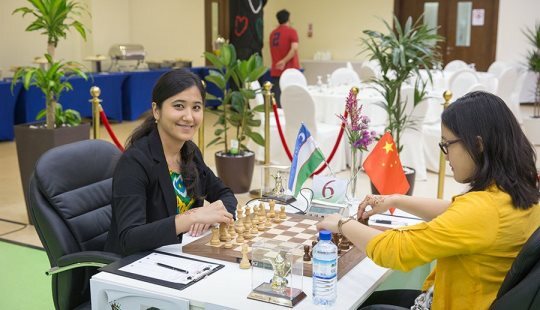 Batchimeg Tuvshintugs, who earlier held clear third place, lost to Harika Dronavalli and opened a way for a group of players to joint her on 6,5 points each. 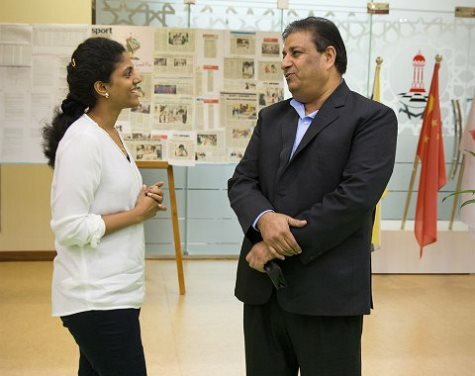 Earlier in the tournament, after 9 rounds of play Hou Yifan secured an overall victory in the FIDE Women’s Grand Prix Series 2013-2014 and earned the right to play in a ten-game World Championship Match in the third quarter of 2015. 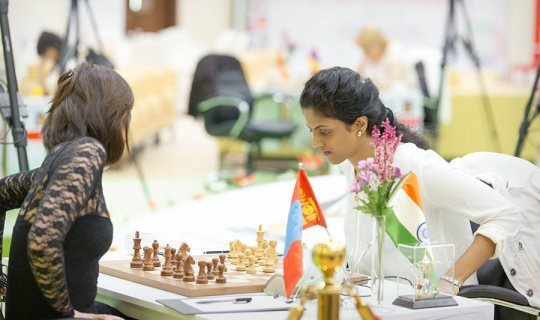 Yifan’s main rival Humpy Koneru finished on the second place overall, while Anna Muzychuk is third. 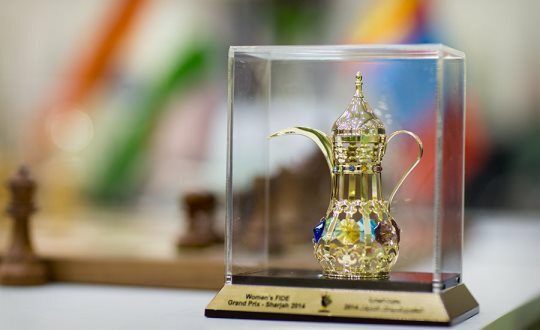 The Classic Jewelry House Lobortas awarded the winner of the Grand Prix Series with the special cup, consisting of precious elements and stones of varying size, including silver, gold and diamonds.